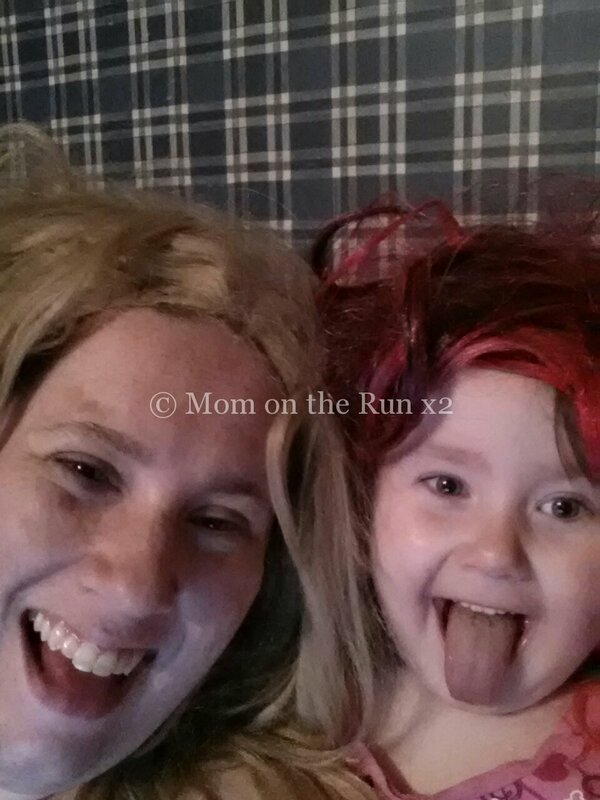 Miss Mo and I playing around on Sunday… in wigs. I wondered what those wigs were for. I asked Morg and she said Mommy and I just wear them!